For busy professionals, couples, and families, finding time to cook healthy meals can be difficult. Creating healthy meals doesn’t just require time in the kitchen, it requires shopping for ingredients and cleanup after the meal. Some people find it easier to grab unhealthy fast food or expensive meals from restaurants. However, another option is available – Personal Chef to Go. This Company makes it possible to enjoy healthy, delicious meals for a reasonable price, and there’s no need to spend hours in the kitchen. If you’re considering them, here’s a review of the company and the service they offer. This Company is a meal delivery service that provides chef-prepared, gourmet, fresh, healthy meals that are delivered right to your home. The main chef behind the company is Chef Gene Castelluccio, who has worked in multiple up-scale restaurants, including the Marriott Marquis located in New York and The Mirage, which is located in Las Vegas. Meals are created with fresh ingredients and no additives or preservatives are used in meals. The meals are never frozen, yet they stay fresh with quality sealing and the quality triple insulated shipping containers that are shipped with ice packs. Busy Singles Plan – This is the company’s most popular plan and offers a variety of lunches and dinners for a reasonable cost. The plan includes five individual meals that come with sides, as well as three entrée salad meals. Couples on the Go Plan – This plan is designed for busy couples and includes five meals with sides. Each meal offers two servings. Family Favorites Plan – The family favorites plan comes with meals that have larger portions. Two size options are available, making it easy to customize the plan for your family’s size. Four nights of meals are provided with this plan. A couple of other options are also available from from them. A dinner only plan is available as well. This plan comes with five total meals and is the most affordable options. A lunch and dinner plan is also available, offering 10 total meals – eight meals and two entrée salads. Personal Chef to Go also offers physical and e-gift cards, making it easy to give the gift of delicious meals to a friend, family member, or employee. Benefit #1 – Multiple Plans Available – One of the main benefits it has to offer is the multiple plans they have available. They offer individual meals for singles, plans designed for couples, and family dinners that come in a couple of size options. Since they offer multiple plans from which you can choose, it’s easy to find a plan that best fits your unique needs. Benefit #2 – Meals are Fresh – Many food delivery services send frozen meals, but Personal Chef to Go only provides fresh meals that have never been frozen. These meals are freshly prepared and they are crafted weekly by chefs in a commercial kitchen. The meals include FDA approved meats that have been hand trimmed, whole grains, and locally sourced vegetables. Since the meals are fresh, they offer maximum flavor and nutrition. Benefit #3 – Heart Healthy Mediterranean Meals – The meals offered by them are heart healthy, Mediterranean meals. The meals are all prepared to ensure they follow guidelines from the American Diabetes Association and the American Heart Association, providing meals that are heart-healthy. All meals offer the essential nutrients that the body needs, including a source of lean protein, whole grains and legumes, and fresh veggies. Meals are well balanced, offering 40% of calories from complex carbs, 30% of calories from lean protein, and 30% or less of calories from fats. Benefit #4 – Saves Time – It is very common for food delivery services to simply ship raw ingredients, which need to be prepped and cooked. However, Personal Chef to Go only ships meals that are already prepared. All of the meals are easy to have ready in just a few minutes, so there’s no need to spend a lot of time in the kitchen. All the work is done for you, saving you time in the kitchen and in the grocery store. Benefit #5 – Well-known, Trusted Name – When you purchase meals from this Company, you can be comfortable knowing that you are purchasing food from a well-known, trusted name. The company has been working in this industry for more than 12 years and has delivered over 500,000 meals. The company has a commercial grade facility located in Virginia, and they work with PeriShip and Fed Ex to ensure that delivery is taken care of safely. Benefit #6 – Created by Top Chefs – Excellent chefs prepare the food under the supervision of top chefs, Chef Gene Castelluccio and Chef Blair Grossman. Chef Gene Castelluccio has been a chef more over 30 years and has opened multiple restaurants and worked in various up-scale restaurants. Chef Blair Grossman has also been in the industry for many years and has worked as Chef de Cuisine in multiple restaurants. Benefit #7 – Meal Variety – Eating the same food week after week can get boring, but they ensure you won’t get bored by offering excellent meal variety. The company has a nine-week rotating menu that ensures you get a varied diet while ensuring you don’t constantly eat the same meals. They currently deliver their meals anywhere within the United States. With this personal chef to go review, the gourmet food delivery service receives a 4.8 out of 5 rating. The service offers fresh, tasty, healthy meals at a price that is reasonable. Meals take little time to prepare and most customers report high satisfaction with the meals. Overall, busy individuals that want to save time while eating healthy meals will find Personal Chef to Go an excellent option. If you are tired of grabbing fast food or you don’t have time to spend making healthy meals, you may want to consider using the Personal Chef to Go service. 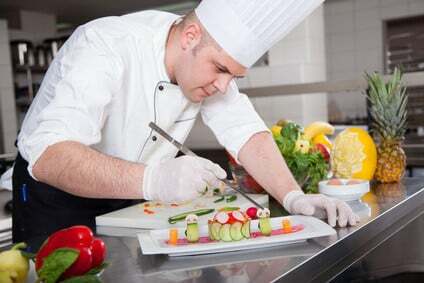 Summary Personal Chef To Go service offers fresh, tasty, healthy meals at a price that is reasonable. Meals take little time to prepare and most customers report high satisfaction with the meals. Overall, busy individuals that want to save time while eating healthy meals will find Personal Chef to Go an excellent option.